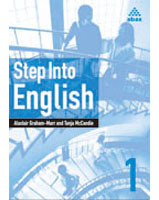 Step Into English designed for learners of English who are approaching the language as a medium of communication for the first time. LISTENING: The book introduces a wide variety of activities—listening for comprehension, listening as a model for production, listening for analysis. It’s designed to help your students learn how to listen to English and to help them understand the English sound system. SPEAKING: Lots and lots of practice opportunities aimed at getting your students using English right away! 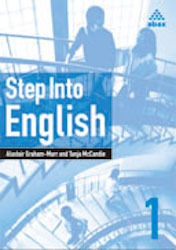 Structured to raise your students’ confidence in their English ability and to help them get a start into speaking.